This is so easy to make, so delicious, and a great way to take advantage of all those young squash that are coming up in gardens everywhere. You just need a julienne slicer for this one. I found this recipe in Susie Middleton’s Fast, Fresh and Green. So many recipes I want to try in there! 1. 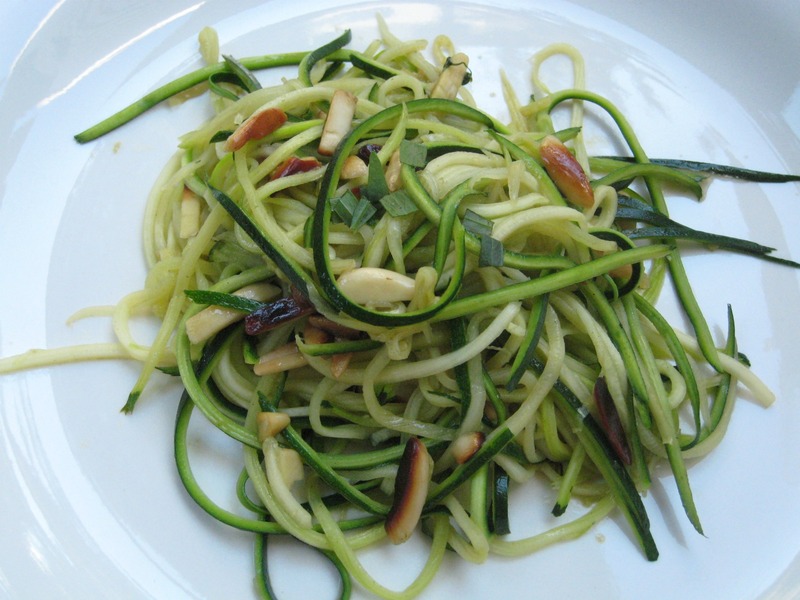 Wash and dry the zucchini, then use a julienne peeler to peel long strips, stopping when you get to the seedy part. 2. Melt the butter over medium-low heat, then add the almonds. Cook until the butter turns brown, but not burnt. 3. Add the squash and some salt, and toss in the butter for about a minute, until it wilts. Squeeze a little lemon over the squash and a little of the herbs and toss it in. 4. Remove the squash from the pan and sprinkle a little more of the herbs on top. Yes! Finally someone writes about apple peeler corer.